Modern civilization has changed the world climate, and even dramatic reductions in global greenhouse gas emissions at this point won't turn back the clock. The warming now predicted by Cal-Adapt is likely already “baked in,” even with our best mitigation efforts, said Igor Lacan, UC Cooperative Extension advisor in the Bay Area of California. 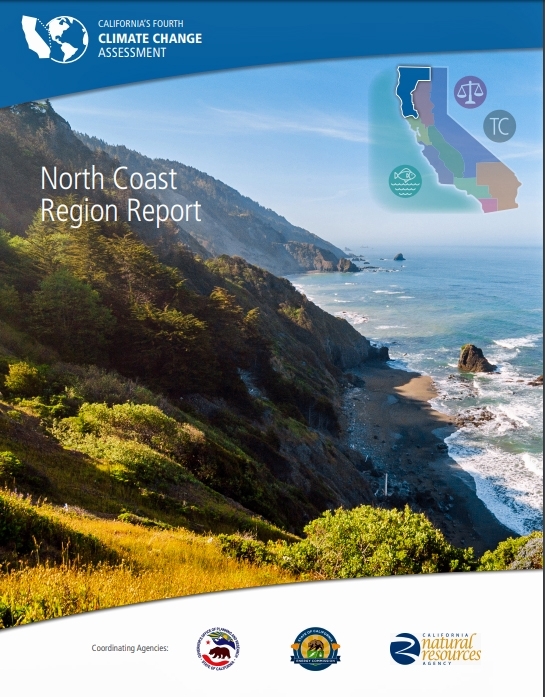 UCCE specialist Ted Grantham is the lead author of the Fourth Climate Assessment's North Coast Region Report. Although the changes can't be reversed, people and communities can take several measures to prevent even greater warming – mostly by reducing the use of fossil fuels – and adapt to the changing environment. In fact, researchers are already helping California adapt to the warmer, more variable and extreme weather expected in the next 100 years. California has been a leader in facing the future climate head on. The state's first comprehensive assessment on climate change was produced in 2006 under then-Gov. Arnold Schwarzenegger. The second assessment, released in 2009, concluded that adaptation could reduce economic impacts of loss and damage from a changing climate. The third assessment was shaped by a request for more information on the adaptation options in the 2009 report. The fourth assessment was the first effort to break down global climate predictions and their impacts onto specific regions of California. Author of the North Coast Region Report of the Fourth Assessment, Ted Grantham, praised state leaders for pushing forward efforts to slow climate change and adapt to the new weather conditions expected in California. “California is playing a unique role in filling the void of leadership on this issue that the federal government was beginning to address under the Obama administration,” Grantham, a UC Cooperative Extension specialist based at UC Berkeley, said. Across California, UC Cooperative Extension specialists and advisors are working in their local communities to prepare for warming temperatures and adapt to the changing climate. Following are examples of the efforts now underway. Following years of drought, millions of trees succumbed to bark beetles in the Sierra Nevada. Among the suggested adaptation strategies in the 81-page North Coast Region Report, written by Grantham and his colleagues, the authors encourage government agencies and private forest owners to use prescribed fires and active forest management to reduce an overgrowth of trees and shrubs that fuel the more frequent and intense fires expected in the future. Although climate change will create conditions conducive to catastrophic wildfire, the reason for dangerous forest overgrowth is related to decades of fire suppression on the landscape. Native American tribes are being tapped to share their traditional ecological knowledge to inform this practice. “Native Americans have used fire since time immemorial to manage their landscapes,” Grantham said. When climate changes, plant and animal species may find their current habitats no longer fit the environment where they evolved. The fourth assessment technical report, Climate-wise Landscape Connectivity: Why, How and What Next, written by UCCE specialist Adina Merenlender, documented potential techniques to erase barriers to plant and animal movement. The report says research is needed to compare different approaches to designing climate-wise connectivity, determining how wide corridors need to be, and quantifying the impact of natural and anthropogenic barriers on possible range shifts. California's wine industry is based on international varieties that come from Northern France, where the climate is cool, mild and consistent. “They really require a cool to warm climate, not a hot climate,” said Glenn McGourty, UCCE viticulture advisor in Mendocino County. 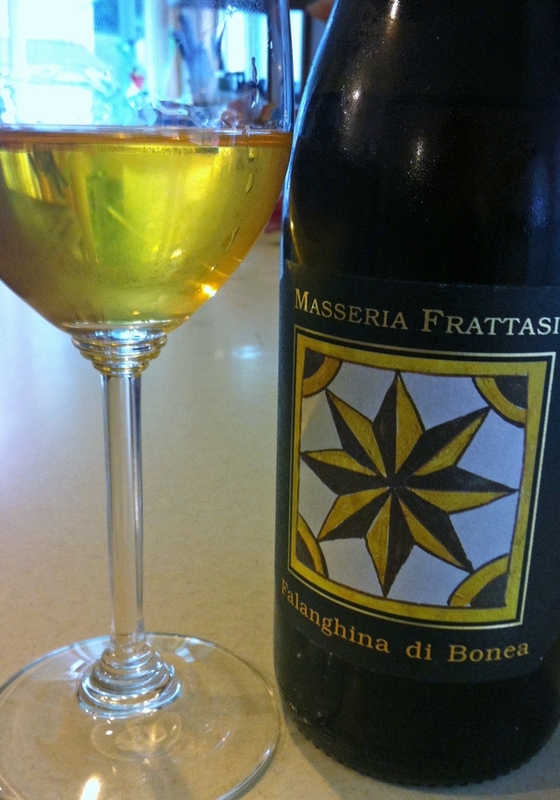 There are many wine grape cultivars from Southern Europe – areas in Italy, Portugal and Spain – that are adapted to heat and make quality wines, but aren't well known. The varieties include Monepulciano, Sagrantino, Periquita and Graciano. McGourty is studying how these cultivars perform in the warm interior of Mendocino County at the UC Hopland Research and Extension Center. “We have many options as climates warm in the interior part of California to make wine that needs less amelioration in the winery compared to cultivars from Northern France,” McGourty said. The UC California Naturalist Program is moving full steam ahead with a new Climate Stewards Initiative to build engaged communities and functioning ecosystems that are resilient to changing climates. 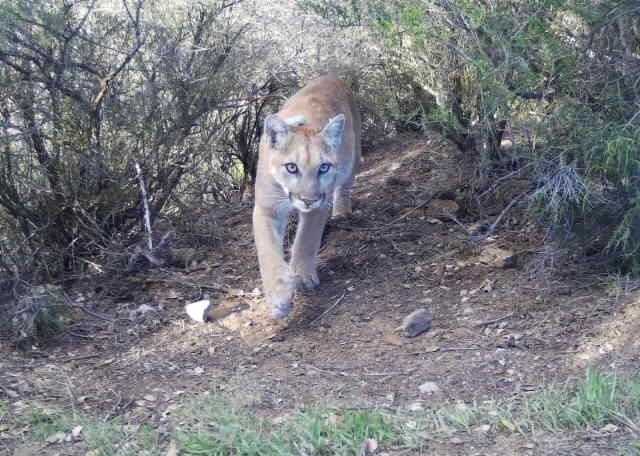 California Naturalist, with trained volunteers across the state working with myriad conservation organizations, will be using its educational network to improve the public's understanding of climate change and engage the public in community action and local conservation. Volunteer UC California Naturalists will be recruited to engage the public in climate change resilience. USDA Climate Hub has awarded a grant to UC Cooperative Extension to support tools to assist growers in making strategic decisions in season and long term. Pathak is also working with colleagues to analyze how generations of navel orangeworm, a significant almond pest, might shift for the entire Central Valley under climate change and how growers can adapt their practices to manage the higher pest pressure. At the UC Kearney Agricultural Research and Extension Center in Parlier and the UC West Side Research and Extension Center in Five Points, sorghum nurseries are being grown under drought and well-watered conditions to compare the environmental impacts on the plants' gene expression. 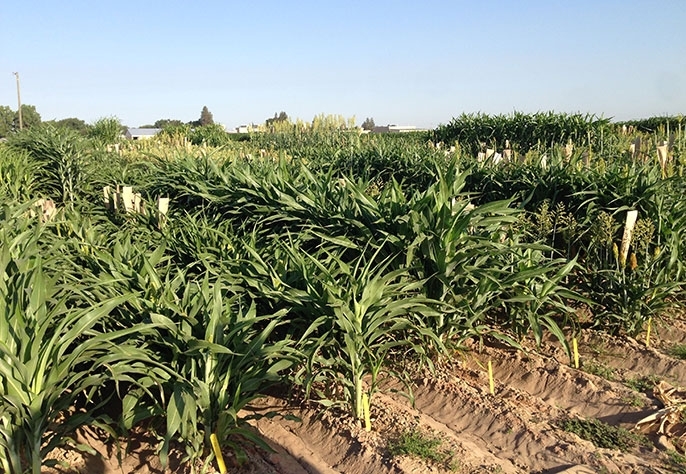 Historically, the genetic manipulation of crops, which has been critical to increasing agricultural productivity, has concentrated on altering the plant's genetic sequence, encoded in its DNA. Recent studies have shown that environmental stresses – such as drought – can lead to epigenetic changes in a plant's genetic information. Because epigenetic changes occur without altering the underlying DNA sequence, they allow plants to respond to a changing environment more quickly. 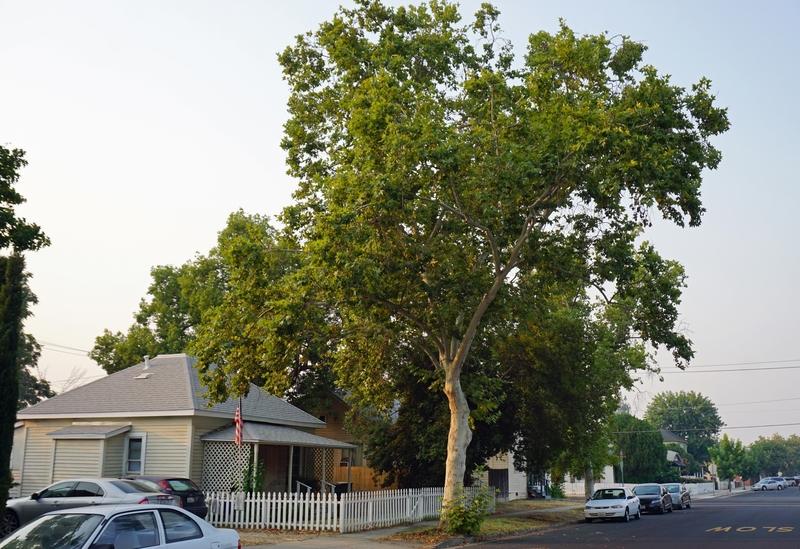 Common trees in Coastal California cities appear to be better suited to withstand the 2099 climate. Read more about the study and see a chart that shows cities in 16 California climate zones along with the corresponding cities that approximate their climates in 2099. Cities in inland areas can begin planting street trees that are suited to their future climates. The changing climate predicted for California – including less rain and higher day and nighttime temperatures – is expected to cause chronic stress on many street tree species that have shaded and beautified urban areas for decades. Realizing that popular trees may not thrive under the changing conditions, UC Cooperative Extension scientists are partnering with the U.S. Forest Service in a 20-year research study to expand the palette of drought-adapted, climate-ready trees for several of the state's climate zones. Twelve tree species were selected for each climate zone in the comparative study, with several area parks used as control sites. UC Cooperative Extension scientists are part of a collaborative research project with the University of Nevada, Reno, CAL FIRE and the U.S. Forest Service aimed at developing new strategies to adapt future forests to a range of possible climate change scenarios in the Sierra Nevada. “It includes the idea that we may be struggling just to keep forests as forests, let alone having the species we value,” said Rob York, manager of UC Berkeley's Blodgett Forest Research Station near Georgetown. Forests sequester a tremendous amount of carbon. As the climate changes, foresters will need to be proactive to reduce the risk of these massive carbon sinks becoming carbon sources. 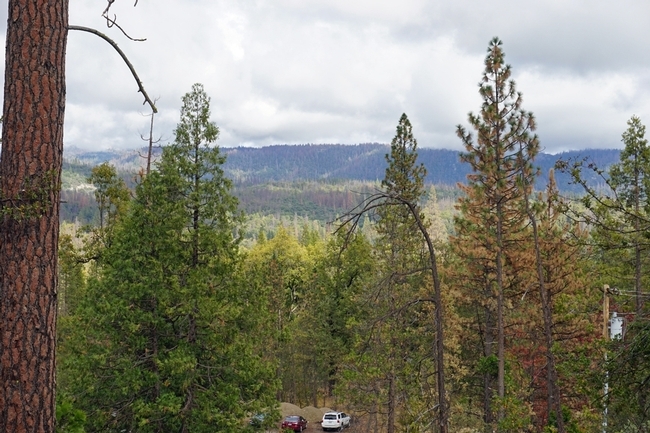 “We're working to mitigate predicted impacts to forests, including regeneration failures, drought mortality and catastrophic wildfire,” Ricky Satomi, UCCE natural resources advisor in Shasta County. 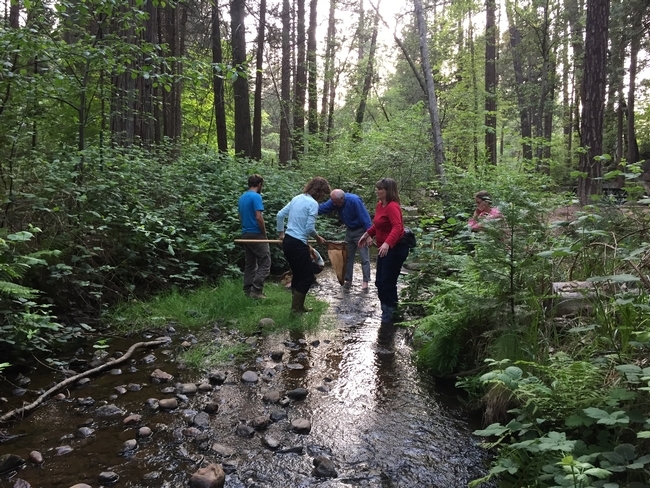 At three separate study sites across the Sierra Nevada, novel approaches to forest management are being implemented to develop treatments that scientists believe will increase resilience, resistance and adaptability of Sierra Nevada mixed conifer forests. The 2018-21 project is led by Sarah Bisbing, forest ecology professor at the University of Nevada, Reno, and funded with $2.7 million from CAL FIRE. The latest climate assessment also reports on the serious nature of climate threats to vulnerable communities and tribal communities in California, with a focus on working collaboratively with these communities on research and solutions for resilience. The assessment includes a Climate Justice Report, which shares the idea that no group of people should disproportionately bear the burden of climate impacts or the costs of mitigation and adaptation. The report suggests collaborating with these communities on research and solutions for resilience.